Do you hear that noise? It's your bookshelves screaming, crying, and yelling at you. They're saying, "Hey, hey you! Why don't you read us anymore? 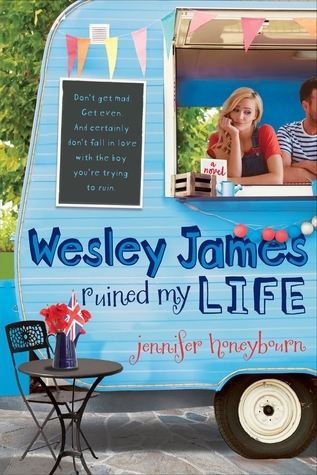 You loved this book, why don't you ever reread it? And what about this one that you just had to have? You've never even read it." May you and your bookshelves never fear, for ReReadathon and Shelf Sweeper has come to the rescue. Last year, the super cool Shae of Shae Has Left the Room (then known as Bookshelvers Anonymous) hosted a ReReadathon, which gave us readers the chance to forget about our review books and instead reread some books that we've been wanting to go back to. This year, I asked Shae if she was going to do the ReReadathon again, because I had books that I wanted to reread and needed an excuse to do so. We got to talking, and she brought up that she wanted to do ReReadathon, but that she also wanted the chance to read some of the books she owns but has yet to read. 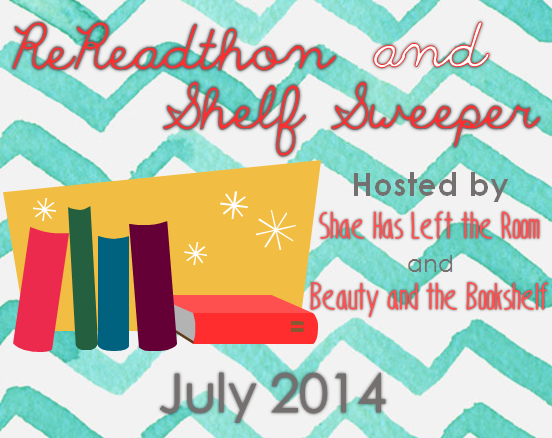 Long story short: Both ideas got combined, and ReReadathon and Shelf Sweeper (#RRSS14) was born! ReReadathon and Shelf Sweeper gives you the opportunity to reread books and/or read the ones you meant to read forever and ever ago. It takes place for the entirety of July (fireworks = lights = battery-free booklight), which gives you plenty of time to get lots of reading done! Here's how you can participate: To sign up, simply write an introductory post spreading the word about ReReadathon and Shelf Sweeper and talking about what you're going to do and read for it! Also, be sure to link back to here and Shae Has Left the Room. When that post goes up, link it up in the linky that's at the bottom of this post. (You can do so here or on Shae Has Left the Room, they're both the same linky.) This post is your only mandatory entry, and you can post it anytime during the month of July. But each post you put in the linky (introductory, weekly updates, conclusion, reviews of what you read, etc.) equals an entry in the giveaway, so the more the merrier! At the end of the month we'll pick a winner for a prize pack, and it's international! Okay, so, I think that's everything. Just in case, here's a quick recap! -This takes place for all of July, but you can start at anytime during the month. 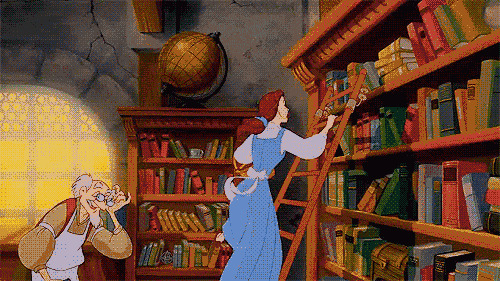 -You can reread books or read finished books you own but haven't read yet, or you can do both! -To enter, simply share the link of at least one of your posts in the linky. -Anyone can participate, and you can post on your blog, Tumblr, etc. 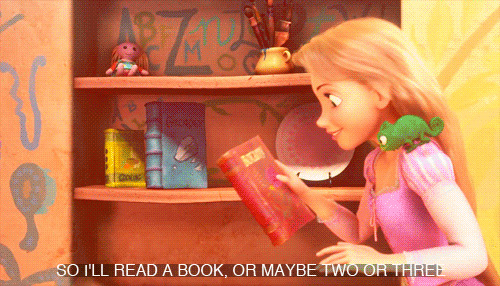 -Have fun, and read, read, read! If you have any questions, please do not hesitate to ask! You can comment on either post, or tweet us: @RachelllRaeee or @ShaelynCherie. And last but not least, if you want to share our button and/or use it in your post, you can! Now link away, my pretties! We're so excited to be a part of this challenge!